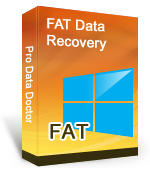 FAT Data Recovery Software recovers lost or deleted data from corrupted Windows hard disk drives based on FAT file system. 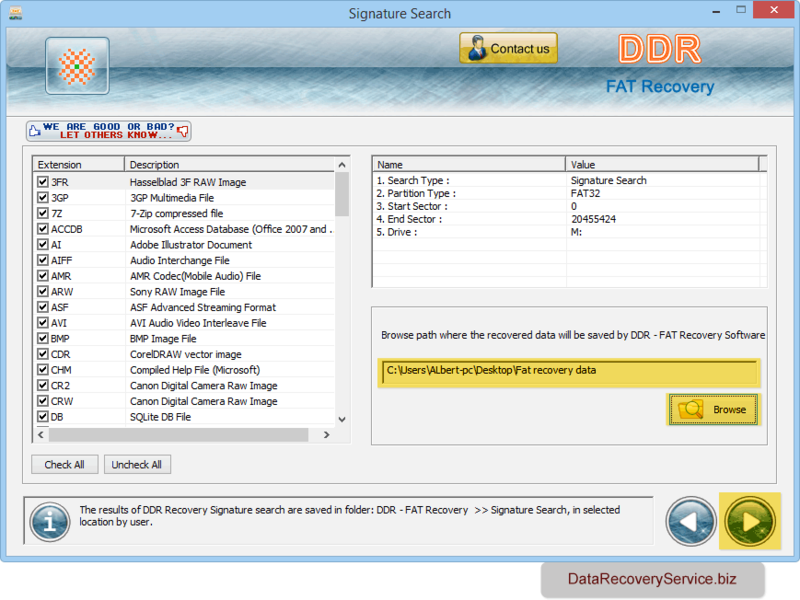 Software retrieves accidentally deleted document files, images, audio-video songs, photographs when saved on your PC hard disk. Application supports all major hard disk drive manufactures including Seagate, Maxtor, IBM, Toshiba, Western digital, Fujitsu, Quantum, Hitachi and other popular brands. 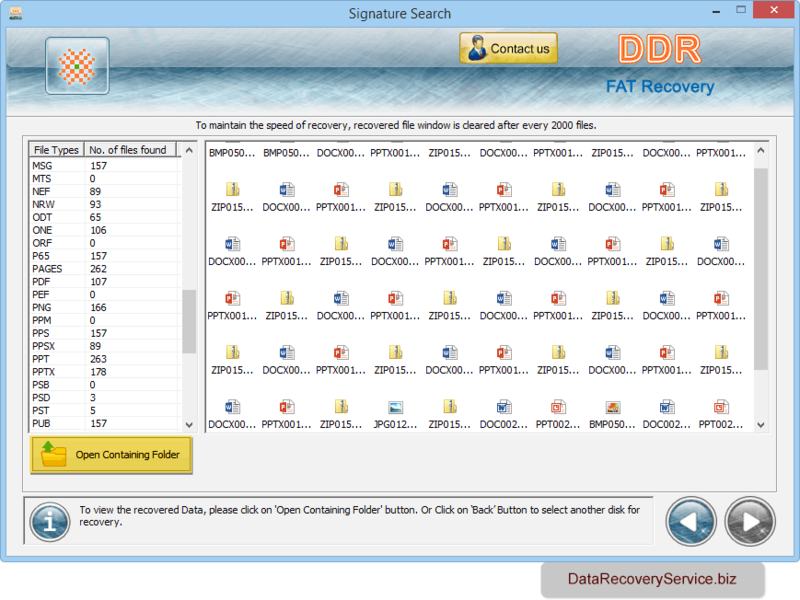 Recovers lost or inaccessible crucial data files saved in hard disk drive storage media. Retrieves data lost due to accidental deletion, corrupted boot sector, improper system shutdown, software malfunctioning, emptied recycle bin and other similar data failure reasons. 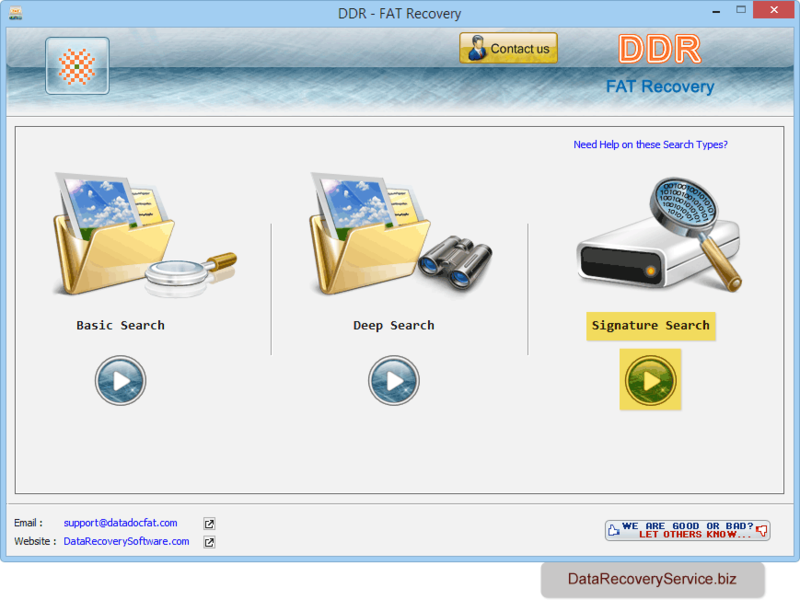 Restore lost or deleted encrypted and compressed files and folder. Compatible with all hard disk interface including SATA, IDE, EIDE, ATA, SCSI, SAS etc. Easily salvage saved data in different file formats including doc, html, pdf, aac, mp3, wma, jpeg, gif, bmp etc. Rescue data even if “Drive not formatted” error message is displayed on your Desktop and Laptop screen. 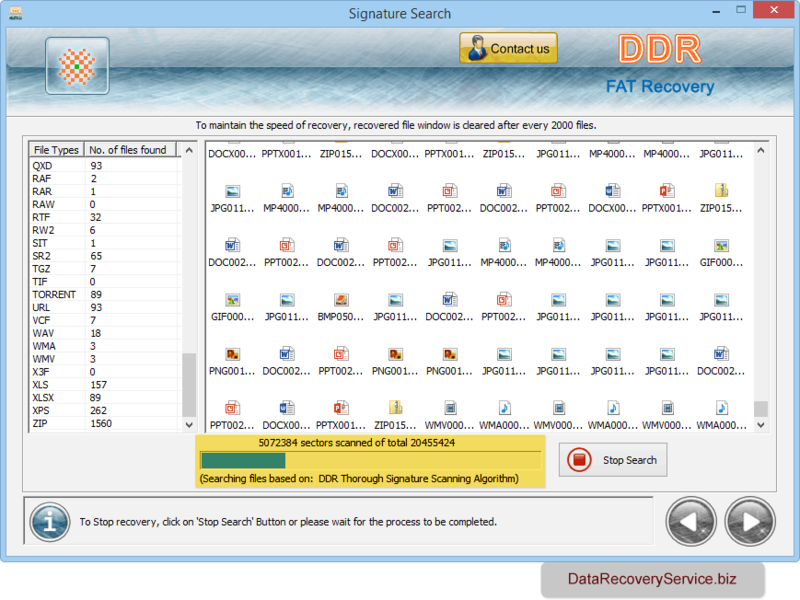 Software provides three recovery modes, select any one mode according to your requirement. Here we have selected 'Signature Search' mode for demonstration purpose only. 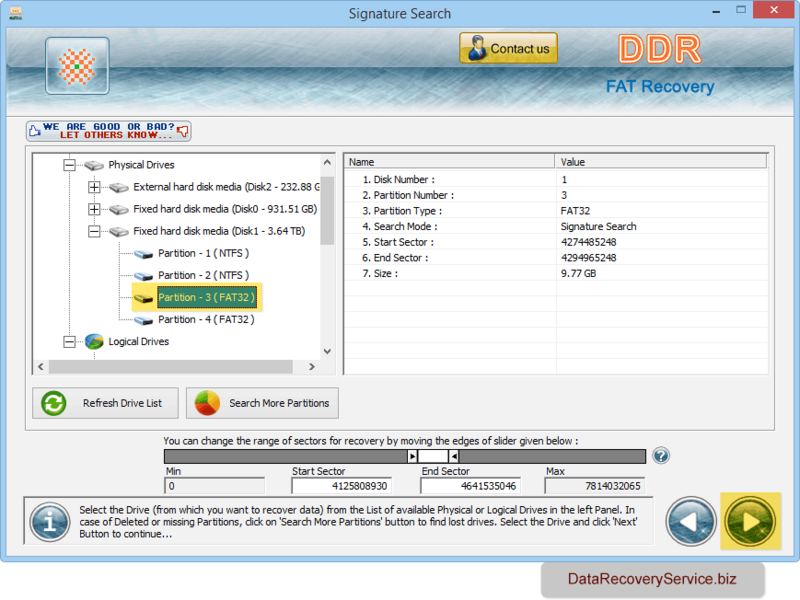 Select partition to recover lost data files and click 'Next' button to proceed. Browse path where you want to save recovered files and click 'Next' button to continue. Data recovery process is in progress. Screenshot displays the current running status of files searching process. Data is recovered successfully. Click on 'Open Containing Folder' button to view recovered data files.